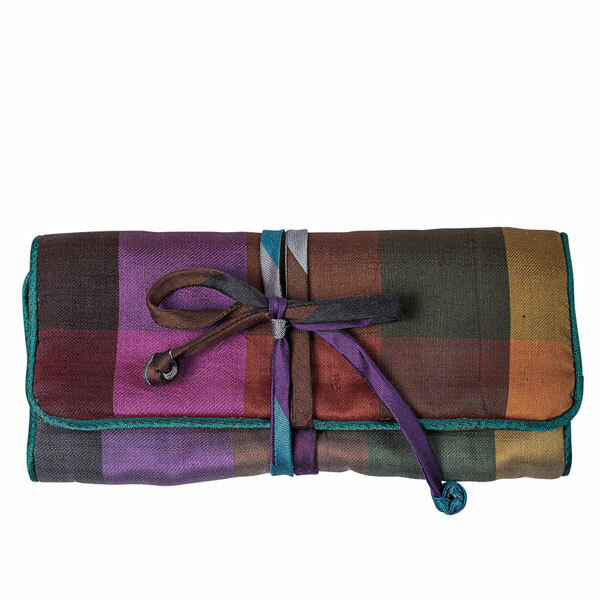 Protecting your jewelry has never been easier or more beautiful with this stunning jewelry roll. It features two zip pockets and a ring roll to keep all your earrings, necklaces, and rings secure. 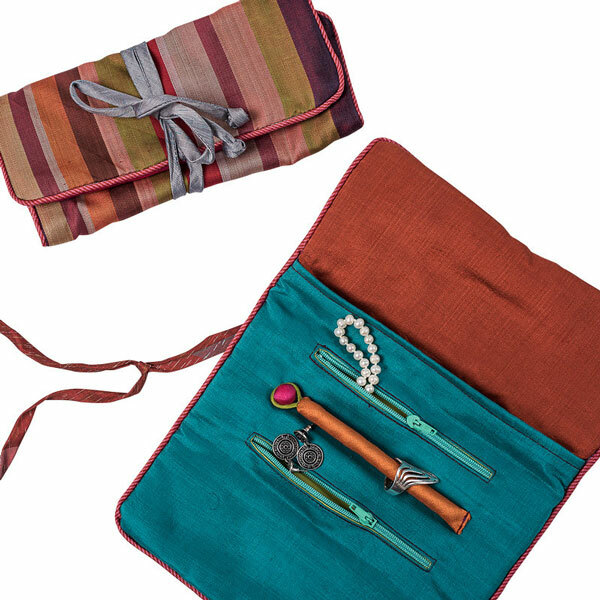 Made of 100% silk and painstakingly handcrafted, this jewelry roll makes for a truly special gift or a perfect companion for your own travels. Colors and patterns will vary as each jewelry roll is truly a unique creation. To break the cycles of poverty and protect against the lures of human trafficking, at-risk women are equipped with six-months of training to learn the hundred-year-old tradition of Cambodian silk weaving. 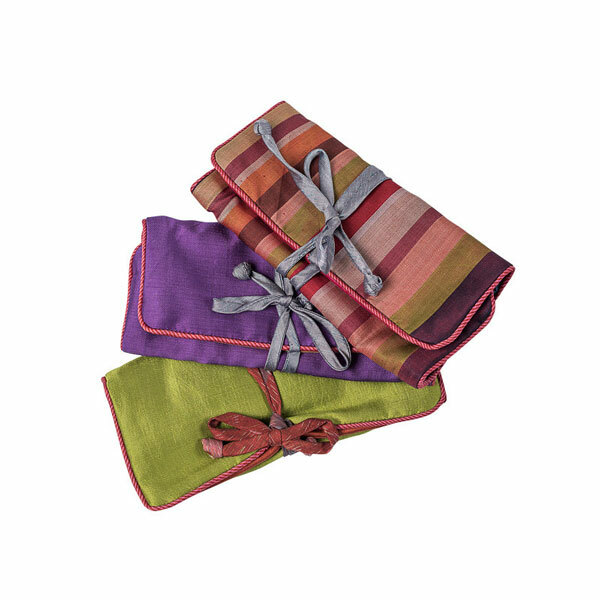 Artisans spin raw silk into thread and dye it in an array of rich vibrant colors. Depending on the complexity of a pattern, setting up a single loom can take more than a week. The end result is a stunning work of art that reflects the skill, care, and artistry of its creator.